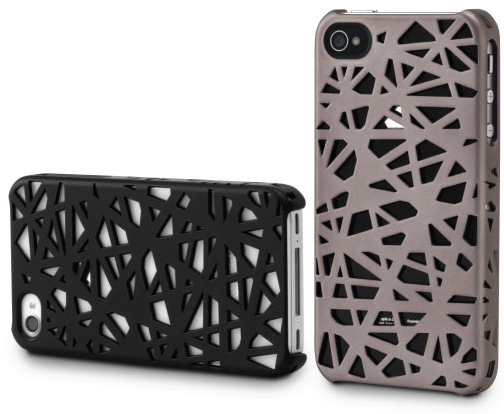 A very interesting case was released by Incase today called the Bird's Nest Snap Case for the AT&T and Verizon iPhone 4. A hardshell constructed case with a unique woven look resembling the characteristics of a bird's nest. The back snap-on design makes it a very slim and lightweight case and it's a new take on the popular Snap Case. It's available now in black and steel colors for $34.95, and comes with a stand for upright viewing.